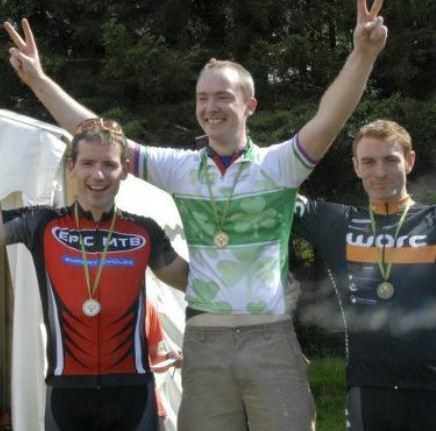 The 2012 XC season reached it’s crescendo with the Irish National Champs, which was won in fine fashion by multiple Irish champion, Mr. Robin Seymour in the Elite’s category. 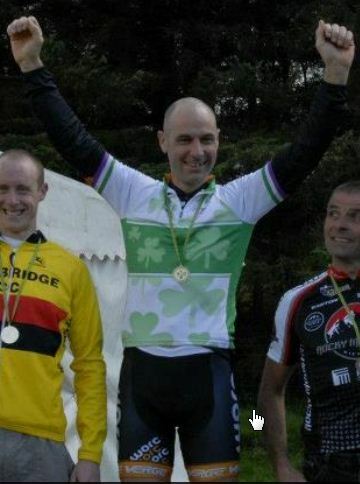 Robin Seymour celebrates his win on the podium, with Roger Aiken in 2nd and Peter Buggle 3rd. 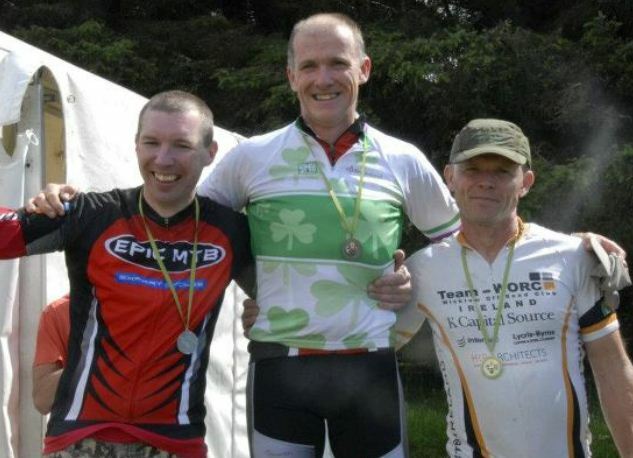 Master’s Winner, Alfie Wallace of EPIC/Expert Cycles, with Colm McGarvey of Epic/Expert Cycles, and Stuart Galloway from the host club, WORC.. 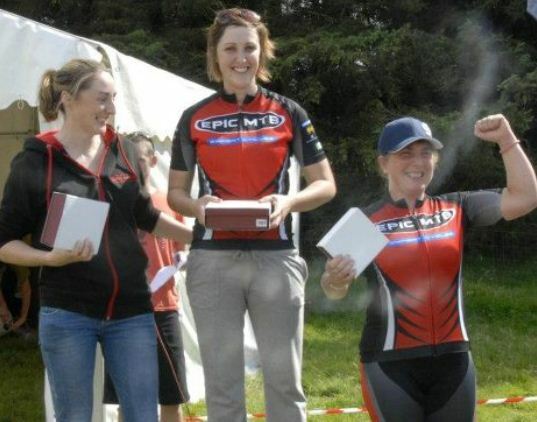 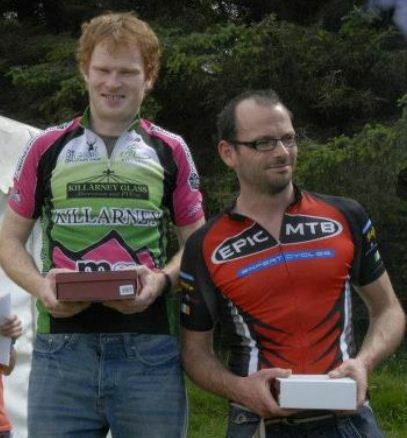 In the Vet’s championship category EPIC/Expert Cycles again took the top spots with John Doris and Micky Dardis filling the podium with there amazing win’s!